Product prices and availability are accurate as of 2019-04-10 07:33:25 EDT and are subject to change. Any price and availability information displayed on http://www.amazon.com/ at the time of purchase will apply to the purchase of this product. 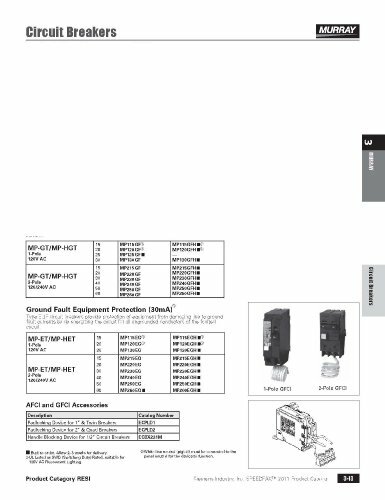 Murray ground fault equipment protection circuit breakers provide protection of equipment from damaging line-to-ground fault current and de-energizes the circuit for all ungrounded conductors of the circuit. Murray strongly recommends against the use of "used" breakers. 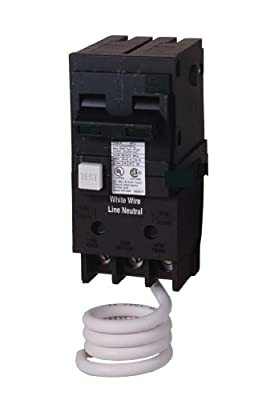 The installation of used breakers in a Murray panel will void the warranty on the panel. Murray does not sell used breakers and has not approved any 3rd party sellers to do so.